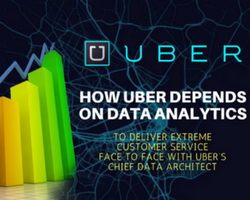 In the first part of this three-part series, we tried to understand how data analytics was the key to Uber’s success, while in the second part, we looked at Uber’s future plans based on data analytics. In this third and last part of the interview, we look at what Uber looks for in a potential data scientist. What Uber looks for in a potential data scientist? Raj: As Fortune 500 companies focus on corporate innovation and hire chief data officers and chief innovation officers. What advice would you give to them in the role of data as an enabler to drive innovation. Srivas: It depend on the products of the company, and the analytics that they want. At the end of the day analytics is measuring things and reason for analytics is for that you cannot improve unless you can measure it. That’s basically what we are talking about. If you can measure it then you can improve it. But one needs to be careful. In fact, measuring and correlating irrelevant stuff, it’s very easy to fall into the trap because they’ve been told to go on measure, then sub-measure it and you’re measuring some garbage and then the garbage in and garbage out. The main thing is totally understand the product and what the pain points are and try think outside the box. For example: Today I was talking to a retail guy who build this company called Vertex Springs. It’s a startup, and a guy from Google who started it. It’s a very interesting product. He is basing their app on the phone. Where I can go and make a purchase on the phone in the shop so that I don’t have to stand in line. Standing in a queue in a shop to buy the product can be painful. Here, I can just go and pay for it right there with my phone. My cell phone is my point of sale, so he understood the pain and he analyzed it and he said, “Okay, this is the main major issue and there’s a lot we need to solve”. If everybody can do that, as long as they know what they’re measuring and what is the main point. What we really care is at the end of the day the customer experience has to improve significantly. And measuring that and innovating on that is priority. Raj: Interesting. In terms of making this happen, there’s obviously need for talented people. 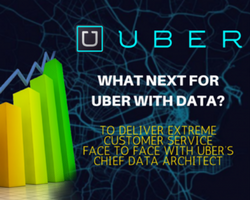 When you look around for data scientists at Uber where would you say is the hardest task? Maybe you can follow that up with advice you’d give for budding data scientist and data people in terms of what they could focus on to build their career. Raj: And do you look for any other traits? You must be getting hundreds of applicants. How do you sort them out? Do you have some special test that you give them? What are predictors of success? Shrivas: Basically the yardstick I use is that I look at the resume. All I really care about is if they do what they claim on the resume well. In the sense that if discussion in XYZ. Then if they understand what they are doing with their XYZ. I don’t really care too much about, ‘does he know what I’m gonna do’ because I am not expecting him to. If he knows that, that will be no more hassle for me, right? But the basic question of that, if he does what he is supposed to do well. Right. And I look for that pattern across everything. Whether if he was school, then in college? How was his grade? First job, whatever he did. How well did he do that? Did he understand the problem? If he didn’t understand it, what efforts did he do to understand it? Stuff like that and so on. So, that’s the yardstick for everything and that’s the pattern I’m looking for. Did he do in well in each of his role or his previous job? Did he understand what he was doing and did he do it? Or if he didn’t understand, did he make an effort to understand what it was? Or did he do it mechanically? Does he understand the problems well? I’m not even curious about whether the solution was great. Maybe, maybe not. That’s a circumstantial thing. Right? What I like to understand is if he understand the problems basically. Shrivas: And if I see that pattern right across the board, then I am confident in his work, in that, if I give him something to do, he will do it. He will at least understand the problem before he tackles it, right? Many times the problem really is that are they are really working on the right problem not at the solution, correct? Raj: And would you say there is a shortage of this sort of people? Or it’s just you got to sort out well and you’ll find them. Is the mythical data scientist shortage a reality in your experience? Shrivas: So the shortage is hiring good people. They don’t have the problem in finding this job as soon as they are available. I mean there are plenty of them. I think that is part of the challenge to, it’s like a badger and a stork. I get this one person who is 10x compared to the others. It is worthwhile to have this one person than everybody else. Raj: And so if you want to get in to the space, obviously high IQ is important..
Shrivas: Oh, that question is, if you want to get into the space, what do you want to do, right? Now, everybody I think is smart in some ways. And clever in some way. They need to, just have to be more than work, it has to be something they enjoy. So if you think you enjoy this work, great. Because this has to be more than just another job I’m going to do. If it’s that, then you’ll fail. If this is something you do because you enjoy it, then it’ll come naturally to you. You will do it naturally. And the other way round, that is you enjoy this so it comes naturally to you. Like look, it has to be both. Here’s an example. I love chess. It comes naturally to me but I’m not very good at it. I know that my limitation is that I’m not a very good player. That’s my ability. As much as I enjoy it, I’m not a professional chess player, therefore I will get crushed. So you have to know where you are also. So the same thing with work also. You need to figure out if you have an aptitude for it. And you, yourself you all well know it. And then, you enjoy it!